Great News for WordPress Community just before Holiday season! The new version of WordPress 5.0 released today by WordPress core team. 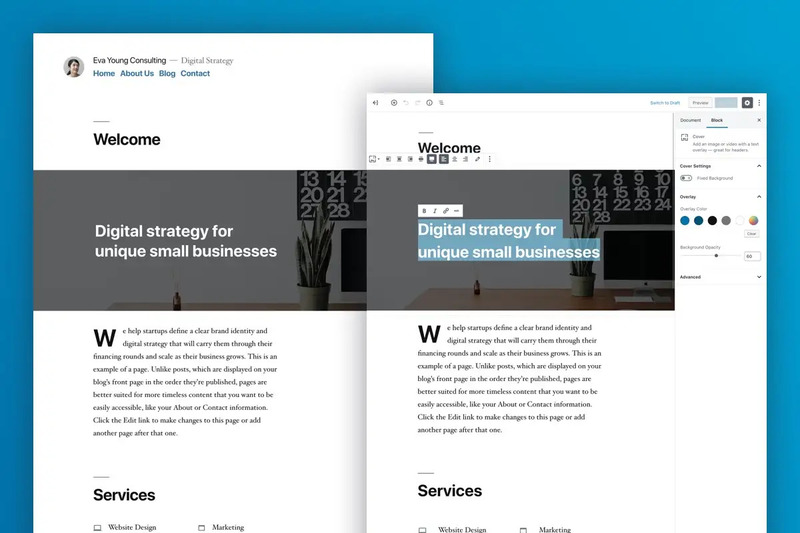 WordPress 5.0 introduces a robust new content creation experience. These are the main points that we should know about WordPress 5.0. We will explore above points now with brief info. one by one. This new update made some big changes to the core editor. It introduced new block-based editor is the first step toward an exciting new future with a streamlined editing experience across your WordPress site. We’ll have more flexibility with how content is displayed, whether we are building our first site, revamping our blog, or write code for a living. The editor will create a new page- and post-building experience that makes writing rich posts effortless, and has “blocks” to make it easy what today might take shortcodes, custom HTML, or “mystery meat” embed discovery. This ultimately will help all users present their content in a way that is engaging, direct, and visual. 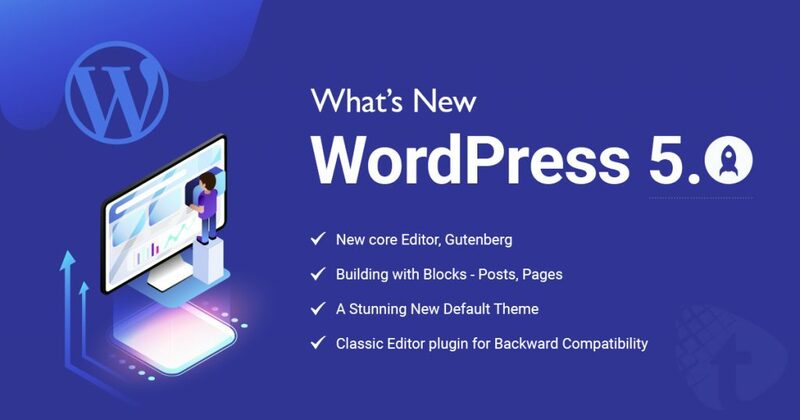 With the initial phase of Gutenberg, WordPress implemented blocks with only Posts and Pages. 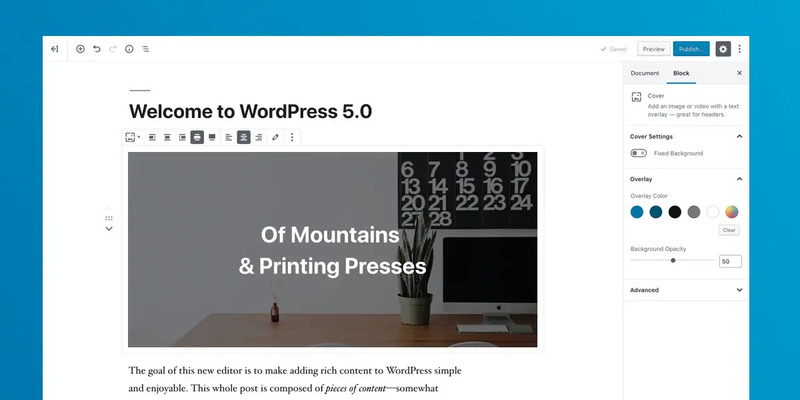 The first, aimed for inclusion in WordPress 5.0, focuses on the post editing experience and the implementation of blocks. So, it looks like content-first approach to deal with new Editor. Introducing Twenty Nineteen, a new default theme that shows off the power of the new editor. With each and every WordPress major release, they are attaching new default theme to the WordPress core. So, people can explore new functionalities, new feature and beautiful design possibilities. Are you thinking or prefer to go ahead with the current editor of WordPress? No worry! WordPress introduced the Classic Editor plugin that restores the previous WordPress editor and the Edit Post screen. It lets you keep using plugins that extend it, add old-style meta boxes, or otherwise depend on the previous editor. To install, visit your plugins page and click the “Install Now” button next to “Classic Editor”. After the plugin finishes installing, click “Activate”. That’s it! How to upgrade your WordPress to new version 5.0? First, read below take caring points that will save your several times instead of getting website break issue. Disable your WordPress automatic updates or install & activate the Disable All WordPress Updates plugin. Still worry about WordPress upgrade process? Looking for WordPress expert help? Don’t be panic and hire us on Fiverr or contact us via contact form to help you. Alkesh is working with WordPress from last more than 6 years and looking for more as well :). He helped many companies to grow and become a global leader in an IT sector. He put his good efforts to maintain a quality of products, good UX with backend panel and plus, provide a better solution to market with the new and out of the box concepts. Just check our footer section with the site or visit our blog or blog detail page where you can easily find subscription form to get our latest posts in your mail inbox. Subscribe for our push notifications from your browser where you can see red color ‘bell’ icon at the left-hand bottom side. Thanks to seeing your interest to subscribe with our blog section.